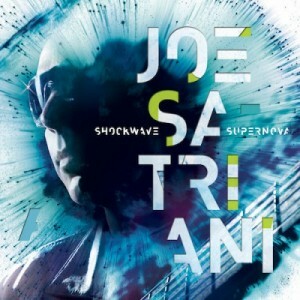 Legendary guitarist Joe Satriani will release his 15th solo studio album, “Shockwave Supernova”, on July 24, making him one of the first to utilize the new “Friday, Global Release Day” for music. It would be easy to call “Shockwave Supernova” a “masterpiece” or “the last word on guitar” from the world’s most commercially successful solo guitar performer. Satch, however, sees it much more personally. He has consistently advanced the artistry of the instrument; an effort he dedicated himself to on September 18, 1970, the day his idol Jimi Hendrix died. Recorded late last year at Skywalker Sound in Lucas Valley, California, “Shockwave Supernova”features the dynamic trio of world-class musicians who had recently been part of Satriani‘s global tour; renowned keyboardist and guitarist Mike Keneally, a veteran of several Satch outings and recordings; along with drumming whiz Marco Minnemann and bass extraordinaire Bryan Beller. “I couldn’t have asked for a better band to help bring these songs to life,” says Satriani. 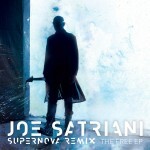 The album also sees Satriani once again joining forces co-producer and engineer John Cuniberti.Satch and Cuniberti share production on “Shockwave Supernova”, as they have on numerous albums — their shared history dates back to the guitar star’s 1986 debut album, “Not Of This Earth” and its follow- up, the platinum-selling, critically acclaimed “Surfing With The Alien”.